Jim Steen, the creator of Total Performance Swim Camps, is the winningest coach in NCAA history. 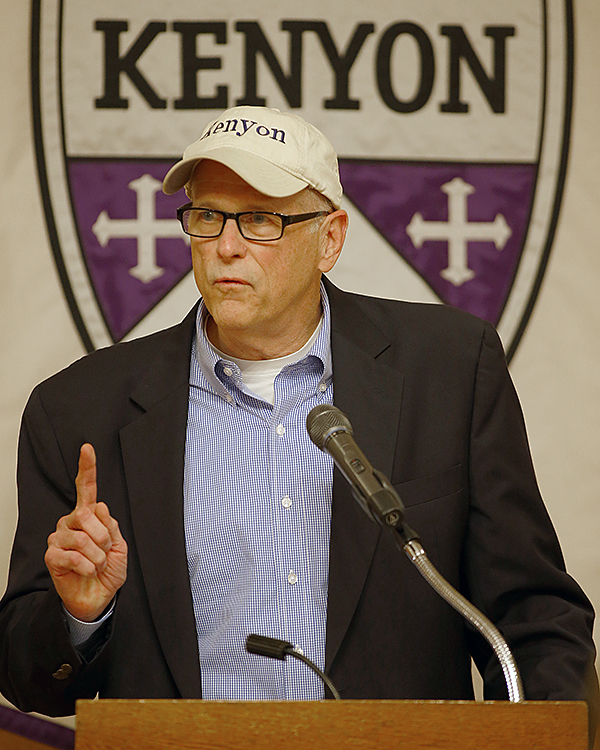 During his 37-year tenure at Kenyon, his teams won more NCAA championships than any other team in any division and any sport. Coach Steen lead the Lords and Ladies to a combined 50 NCAA Division III Championship titles. Coach Steen developed over 192 NCAA Division III individual national champions and 328 All-Americans. He coached several Olympic Trial qualifiers, Division I All-Americans, and was voted NCAA Division III Coach-of-the-year sixteen times. He produced more NCAA post-graduate scholars than any other coach in any division. In 2012 Coach Steen was awarded the C.S.C.A.A. Lifetime Achievement Award by the College Swimming Coaches Association of America, which is the highest award given by the organization. Coach Steen is the creator of the Power Rack, started the Total Performance Swim Camps in 1980 and the Total Performance Elite Camps in 1996. The Kenyon Men's Swimming Team has won 34 NCAA team titles with the first 29 under Coach Steen and the last five under current Head Coach, Jessen Book. The Kenyon Women's Swimming Team has won 23 NCAA team titles with the first 21 under Coach Steen and the last 2 under Coach Book. Coach Jessen Book, a former Kenyon swimmer himself, has been twice voted NCAA Division III Coach-of-the-year since he took over the women's program in 2010 and the men's program in 2012.